Good Morning Vietnam, originally released in 1987 has without doubt some of the funniest monologues in cinema history. Robin was on Fire and the soundtrack was incredible! Time to Rock it from the Delta to the DMZ. 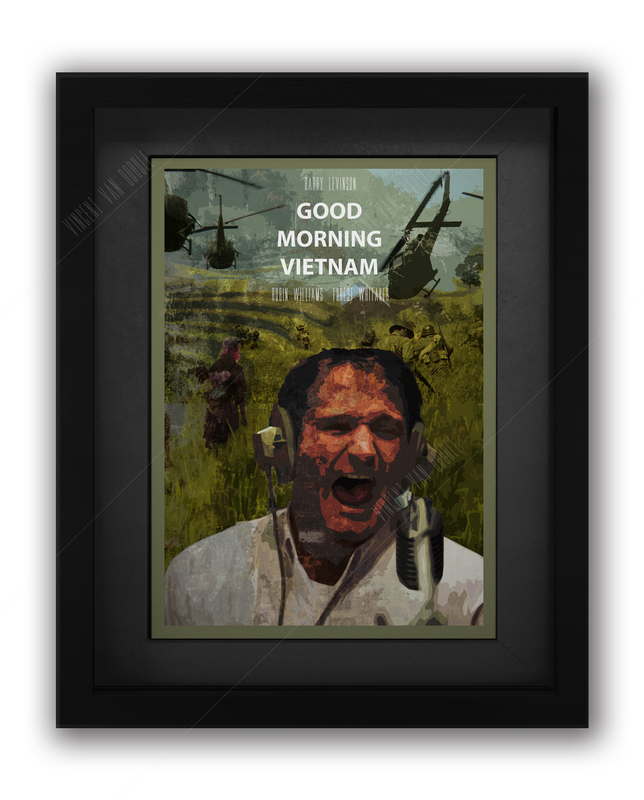 Our Good Morning Vietnam Movie Poster comes in A3, A4 and A1 framed or unframed. We think it looks fantastic in a grey frame with a dark grey mount but anyhting with Robin Williams looks good. Na Na Na NA, NA NA NANA…Picture a man going on a journey beyond sight and sound. He’s entered…the demilterised zone.OOooooooo this is a good one. The 1987 Good Morning Vietnam Movie Poster is an absolute classic, instantly recognisable with it’s Blue fill and Military drapery. We wanted to do something a bit different that encompassed more from the film, the location and the content. However we kept that absolute loon Robin Williams at the forefront (He’s our fave). Set in Saigon during the Vietnam war, we see Adrian (Williams) appointed to a new DJ position in the local US Military Radio station, charged with the mammoth task of raising morale amongst the soldiers. Whilst driving his superiors insane and becoming a troop favourite, he gets to know the country, the war and it’s troubles. Ultimately like many of his films, it’s a serious take on a very dense subject, filled with humour and insight like nothing you’ve seen before. A great Fact about this Movie involves the soundtrack in particular. Twice in the Film you see Williams pull out some Beatles Vinyl but it doesn’t get played. In reality, no Beatles songs were played because at that time as the copyrights to their songs had not been released for use in movies or any other media outlet. Not only that but during the War they also couldn’t be played due to copyright, prompting many Soldiers to opt for pirate radio stations instead. 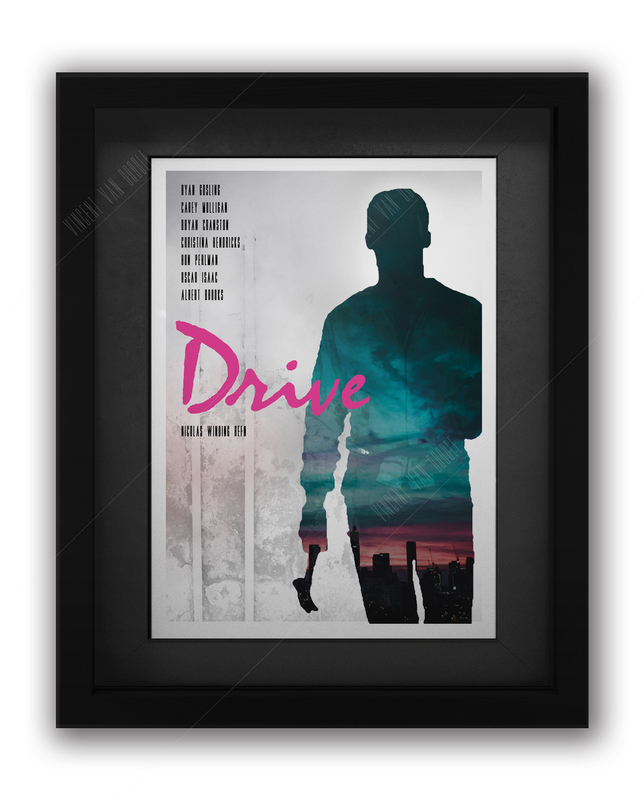 We aren’t just re-designed movie posters, we are so, SO, SOOOOOOOOO much more! With our Birmingham based store, we have been able to create a superb foundation to a life we a loving to live. 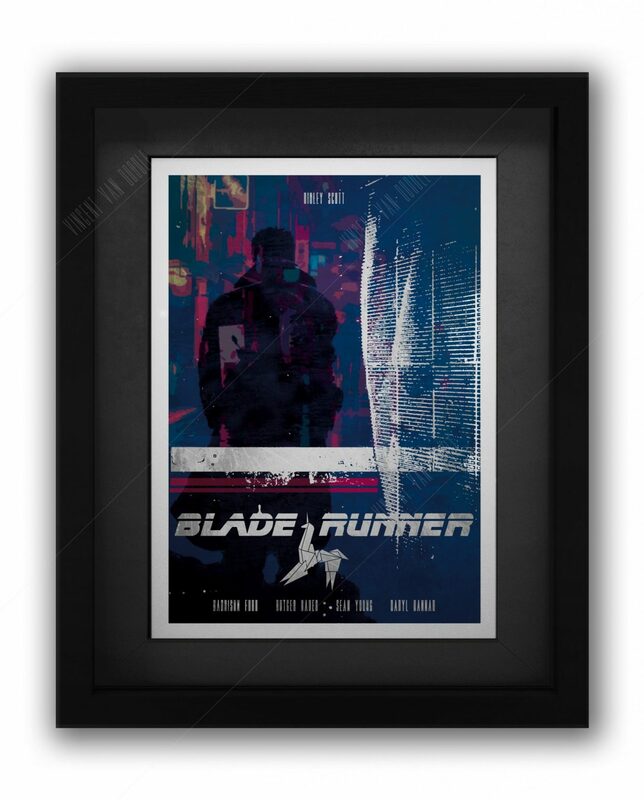 We get to design and sell our unique art to whoever likes it, all whilst remaining at an affordable price. 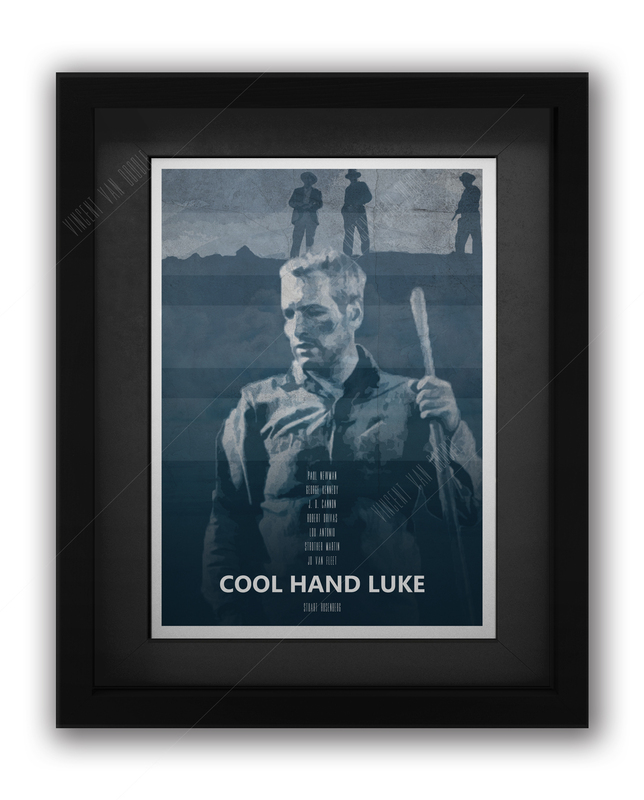 Check out or other work, such as card art and mugshots. We aren’t just limited to our site listings either. Have an idea? Let us know, and we will do our best to make it a reality. Contact us, or even look at our blog to get some more ideas, and browse our site to find out more about us.